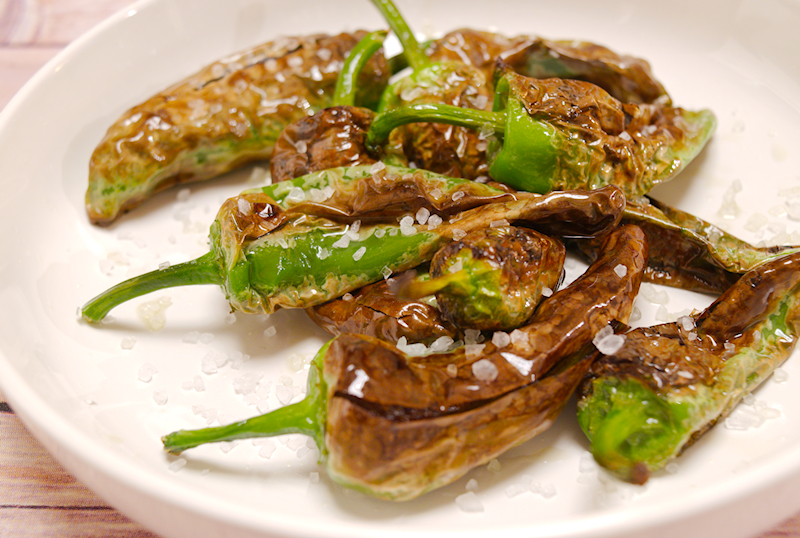 A very popular Spanish tapas recipe for fried sweet peppers. 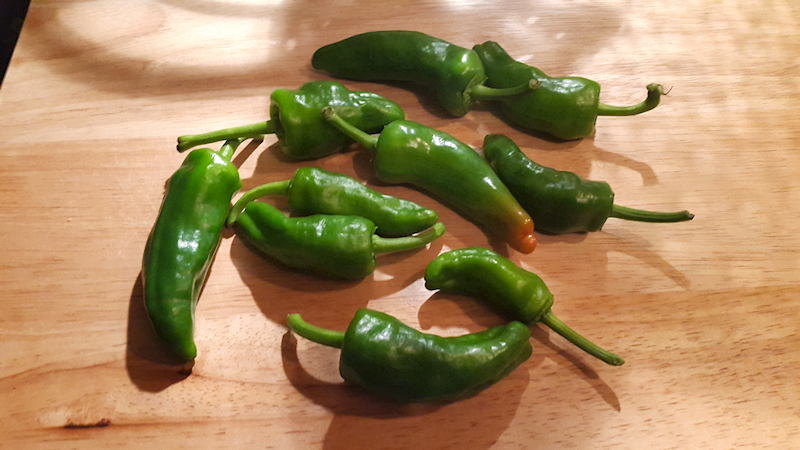 It’s the very famous Pimientos de Padron. A few months ago I had the chance to spend a few days in Majorca, a beautiful island in the Spanish Balearic Sea. It’s a very popular Mediterranean island with millions of tourists every year. It’s sunny, has endless sandy beaches so it’s quite obvious that it’s a popular destination for sun-deprived north-Europeans. Except from the sun and the sea, I was particularly excited to try their local food. Spanish food is quite famous but I wanted to try something different from the Paella and tapas that you find in restaurants around the world. Also, I expected to find locally-produced vegetables and meat. 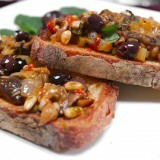 After the initial shock, we found some half-decent restaurants with Spanish food. I tried some of the sea food like calamari, octopus, sardines etc. It was okay, nothing special. They make it better in Greece. The prices were correct though. One thing I really enjoyed and had them almost at every meal was the fried Spanish peppers, called Pimientos de Padron. 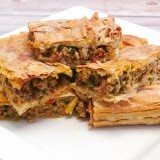 It’s actually an appetizer, served hot and helps you drink your cold beer after a day in the sun. It was amazing! 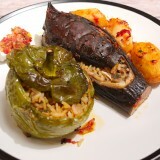 Padron are a special variety of peppers that grow in the Galician region of Spain. They are not particularly hot, rather sweet I would say. 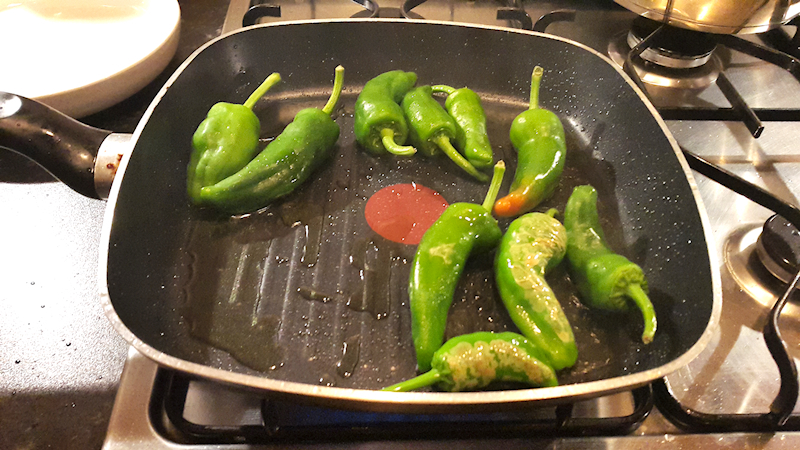 The way the Spanish make it is quite simple: just fry them with good quality olive oil, sprinkle some salt on top and done. You are in heaven! 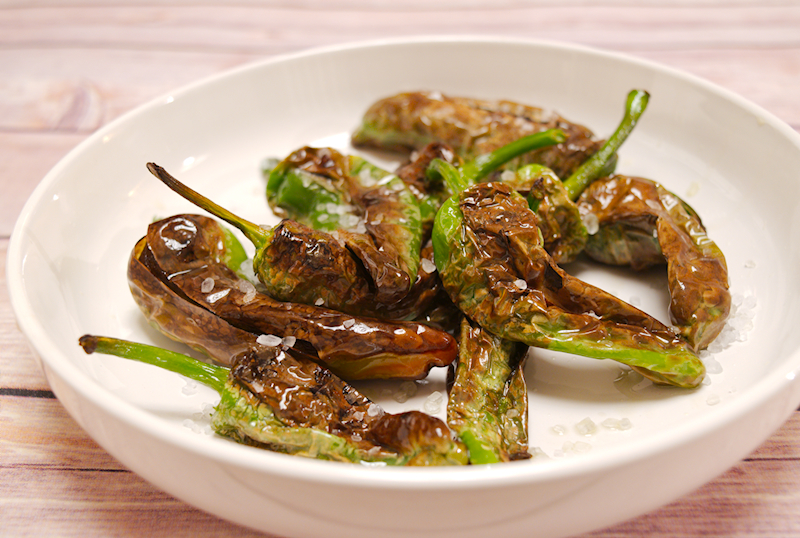 So, next time you find Pimientos de Padron in your local market, do yourselves a favour and cook this awesome tapas plate! 3-4 tablespoons extra-virgin olive oil. Wash the peppers with cold water and dry them using a kitchen towel. 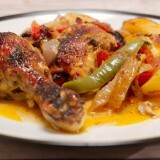 Add the olive oil on a frying pan and heat it up on medium-high heat. 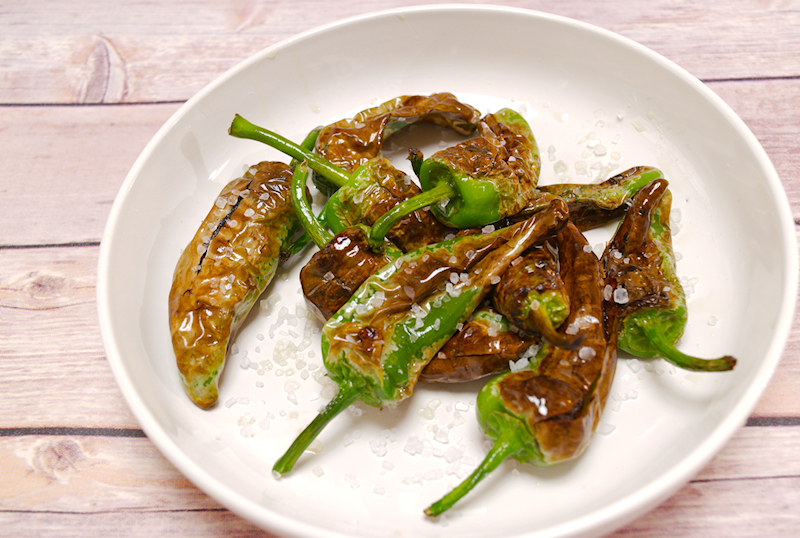 Add the Padron peppers and fry them until their skin becomes dark and blisters start to form. This should take 1-2 minutes. Place the peppers on a plate and sprinkle the rock salt on top.